A lovely scalloped headboard and footboard with raised paneling and bracket feet adorn the ends of our handmade Fairmount Heights Amish Sleigh Bed. 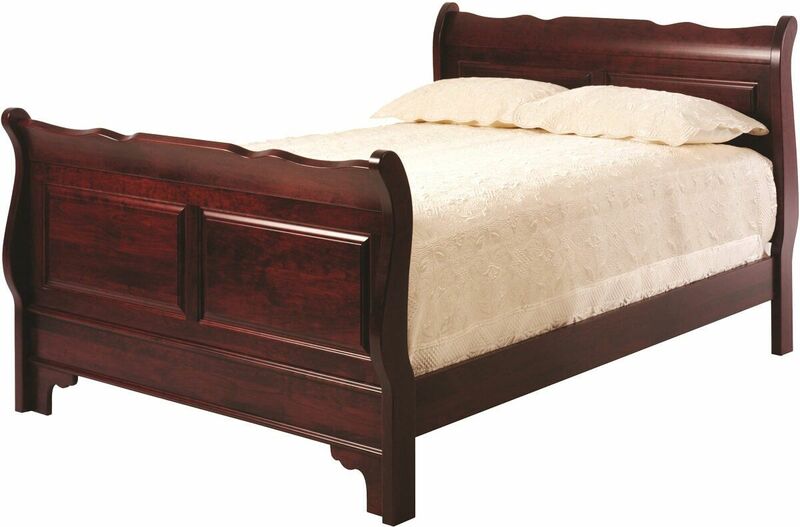 Solid hardwood slats are securely affixed to head and footboard of your Fairmount Heights Sleigh Bed using dovetailed pockets. For added support of your Queen, King, or California King sized mattress and box spring, our Amish artisans include center legs under the bed slats. With nine inches clearance under the bed frame, you will enjoy easy cleaning and storage opportunities. Stunning in Cherry with our Sangria finish, order your Amish sleigh bed today. 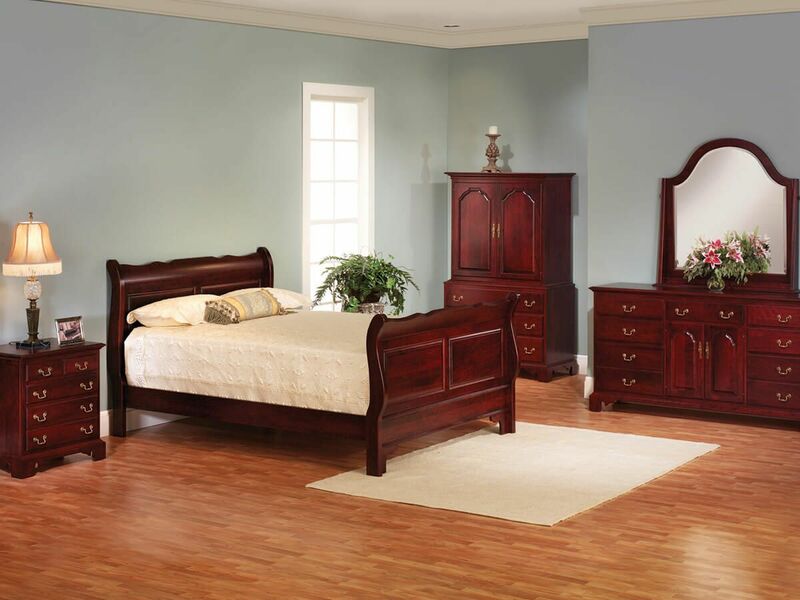 Your Fairmount Heights Sleigh Bed and matching nightstand, dresser, and armoire will be made-to-order in your preferred hardwood and wood finish.